In Addition to Pre, How is Sprint Righting the Ship? 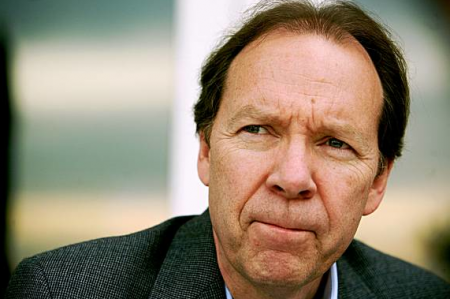 Dan Hesse, the captain and CEO of the Sprint Nextel ship, has taken the helm amidst a troubled economic sea, but just as Sprint has bled away another 1.3 million customers last quarter, Mr. Hesse bleeds optimism about his company's future. Ryan Kim of SFGate.com had an opportunity to interview with Mr. Hesse and get some insight as to how Sprint will recover in troubled times. In efforts to make Sprint more seaworthy, Mr. Hesse describes their focus on customer service and matching "action with our rhetoric." Retail employees are incentivized to assist customers with their concerns in the store, whether it's about finding the right phone or fixing a problem with their bill. He has made headway in making sure that stores have the tools and systems they need to create a better customer experience, focusing on "measuring customer satisfaction in the store experience" versus a focus on sales only. In today's market, iconic devices, no question, they move the needle, they grab attention. And we're very excited about the Palm Pre. I will give (BlackBerry manufacturer) Research In Motion credit for creating a great business phone and the iPhone, I give it credit for being a great consumer device. This is the first one I belive that really crosses both. It's an outstanding business device and it's also a whole life consumer device. It's a combination of a superb touch screen with a physical keypad, which is, for a heavy e-mailer and texter, a must. We think it's going to be a very successful device. We also believe that the Palm Pre is going to make huge waves for Sprint, and hopefully for them, those waves will be just what they need, along with their improved customer experience, to move their ship full steam ahead. For all you Sprint customers out there, do you agree with an improved customer experience? How successful do you think the Pre will be for Sprint?